Stamford, Connecticut, is less than an hour by train from Grand Central Terminal on the Metro North. 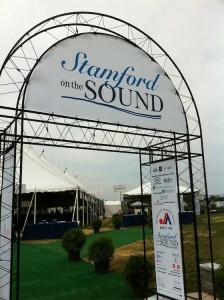 On Saturday the coastal community of about 117,000 hosted Stamford on the Sound, a fundraiser for Japan earthquake and tsunami relief. Why would a town in Connecticut with no significant Japanese population raise money to support the rural northeastern region of Japan? Stamford is the birthplace of former New York Mets manager Bobby Valentine, a beloved sports figure who led the Chiba Lotte Marines to the 2005 Japan Series championship. 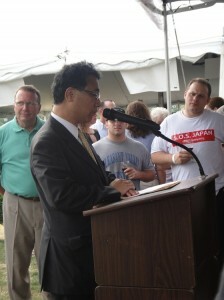 The ESPN baseball analyst still has great memories of and ties to Japan, and as Stamford’s Director of Public Safety, Health, and Welfare, Valentine chose to showcase his hometown for this benefit. After that moment of levity, Hiroki went on to express his gratitude for the “tremendous generosity” that people of the US have shown Japan during this time of need. 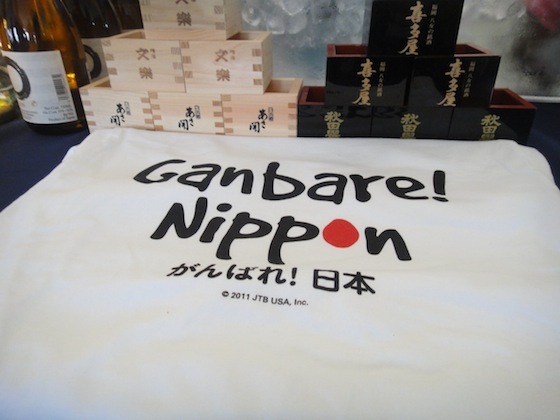 While attendees sampled wine, beer, and sake, they also placed bids on autographed sports memorabilia, jewelry, fitness packages, vacations, concert tickets, and tours of Japanese clothing store Uniqlo and Tommy Hilfiger’s headquarters. All proceeds from ticket sales and the auction go to the Japanese American Association of New York (JAA). Gary Moriwaki, president of JAA, recently visited the Tohoku region, touring the devastated cities of Higashimatsushima and Ishinomaki in Miyagi Prefecture and Soma, Fukushima, which is a mere 25 miles from the compromised Fukushima Daiichi Nuclear Power Plant. JAA is a non-profit organization that has been providing social welfare to the Japanese community in New York City for more than one hundred years. However, recipients of the group’s assistance aren’t only Japanese. JAA has helped victims of 9/11, Hurricane Katrina, the 2004 tsunami in Indonesia, and last year’s earthquake in Haiti. While JAA will disperse the proceeds from Stamford on the Sound to Japanese NGOs for earthquake and tsunami relief, a portion of Saturday’s donations will be earmarked for US tornado relief as well. 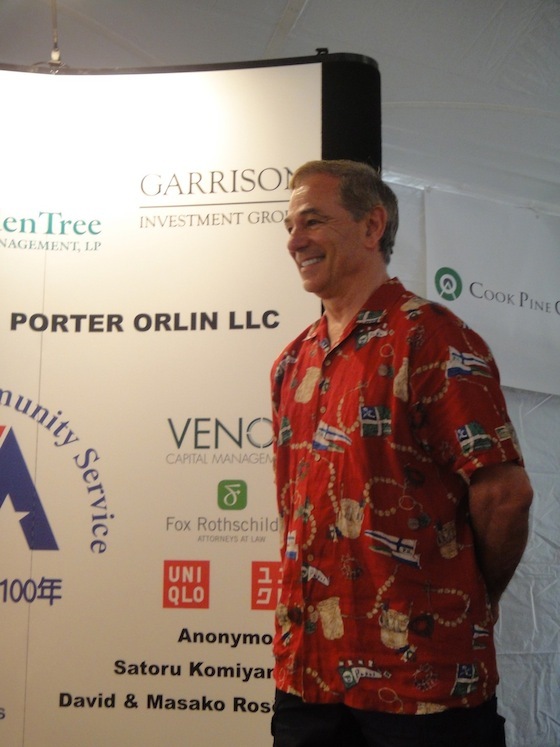 Bobby V’s involvement with JAA isn’t his only foray into helping Japan during this current crisis. Immediately after the earthquake and tsunami, Bobby V collaborated with Stamford-based AmeriCares, a non-profit organization that provides medicine, medical supplies, and humanitarian aid to disaster and crisis areas around the world. Bobby V has also been in contact with some of his former players in Japan, including one who donated items for the silent auction. He hasn’t been to Japan since the disaster, but he hopes to plan a trip for this summer. If you would like to make a donation, visit www.jaanyc.org or www.americares.org.